Above: Heath Spotted-orchid photographed at Gait Barrows Nature Reserve in June. 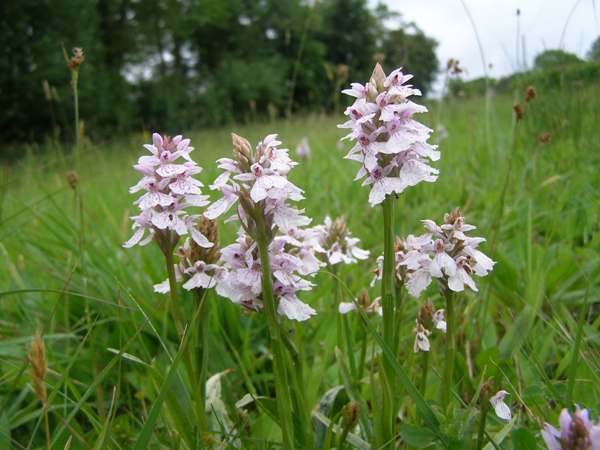 Tolerant of a wide range of habitats, the Heath Spotted-orchid is very common throughout Europe. 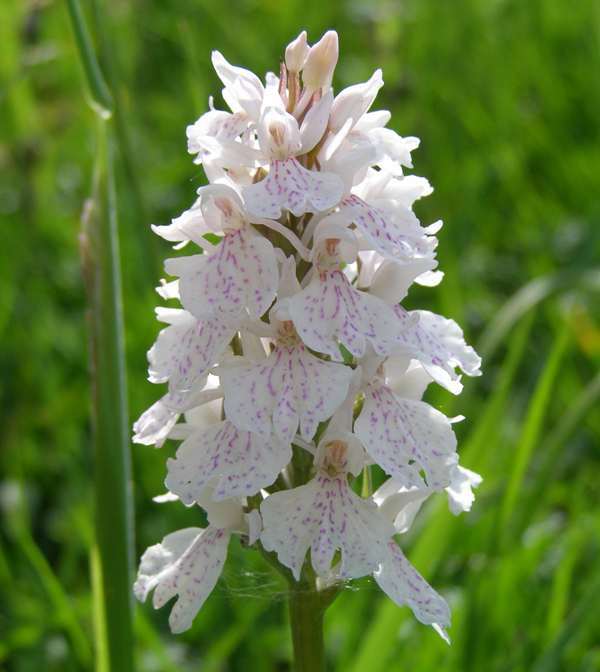 This orchid grows to around 20 cm in height which is generally smaller than the Common Spotted-orchid (Dactylorhiza fuchsii) with which it is often confused. The lip of the Heath Spotted-orchid is also more rounded and without the exaggerated central tooth found on the Common Spotted-orchid. 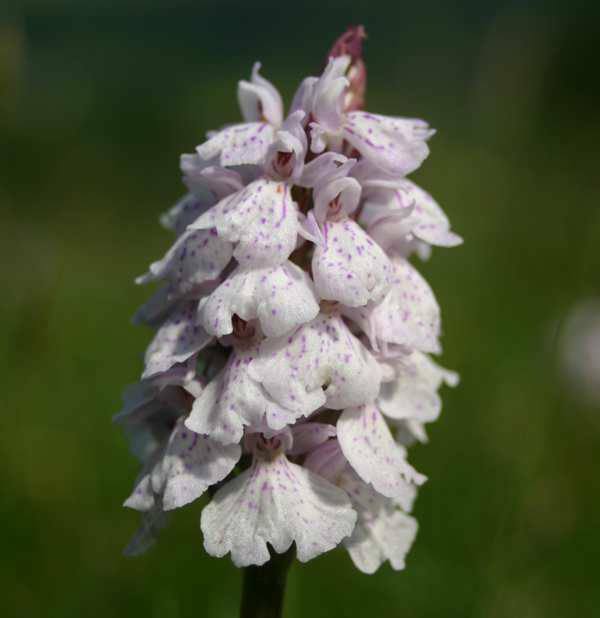 It generally prefers the acid soils associated with heaths, bogs and marshland although it will sometimes invade the more calcareous habitats favoured by the Common Spotted-orchid. The flowers tend to be paler than those of Dactylorhiza fuchsii but there is considerable variability among specimens of both species. Dactylorhiza maculata seen in the uplands of Wales in late June. Dactylorhiza maculata is found in many European countries including Slovenia. Dactylorhiza maculata subsp. ericetorum, occurs in western parts of Scotland and Wales as well as in some parts of western Europe. Unlike Dactylorhiza maculata it is only found in acid soils. This orchid favours damp, peaty heathlands and moorlands but can also be found growing in acid grasslands, particularly in Wales. Confusingly it is also tolerant of mildy alkaline habitats and so may be found in fens where the acid conditions are affected by alkaline flushes running through calcareous bedrock. The Anglesey Fens in North Wales are a particularly good example of this type of habitat and has, as a result, an amazingly diverse flora of both acid and chalk-loving species. Above: Dactylorhiza maculata at Gait Barrows Nature Reserve. Heath Spotted-orchid flowers from mid-May and well into July.